A family law mediator in Milford Connecticut may assist families with cases other than those involving children. In some cases, a family law mediator in Milford Connecticut may help adult children who are concerned about caring for their aging parents, modifying a trust, encouraging an older adult to take certain action and other matters related to older family members. 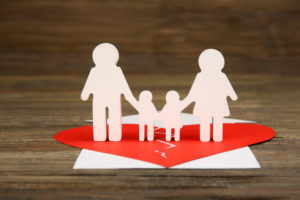 Having a neutral professional who can guide loving family members is often a much preferred alternative over costly and time-consuming litigation. Family mediation involving matters related to older adults allows the participants to discuss difficult issues in a safe space. Mediation is confidential in nature so the parties can freely talk about things without the fear of them being revealed outside the mediation session. Many mediators will meet with family members separately to get an unfettered viewpoint from each person before the family members are brought together in one room. The mediator will focus on identifying the main issues that are acting as obstacles for the family, brainstorming possible solutions to these issues. Many parties are able to reach common ground and make an agreement about how to resolve their disputes, and during this process they also have the added bonus of learning about important conflict resolution skills so that they will be able to address any future disputes that may arise in a constructive manner going forward.